Time For Hockey Again ! Quad City hockey fans, get ready for another season of Mallards Hockey! This past weekend, our team spoiled the home opener for the league-champion Allen Americans by beating them on their cup-celebration night! Then we traveled to Wichita and dropped a nail-biter in OT to the Thunder, so we are 1-1 after an intense opening weekend on the road ! This Friday it's OUR turn to celebrate with a 3-game home-opening weekend! It's 2 games against Tulsa and one rematch against Wichita, Friday Saturday, and Sunday. 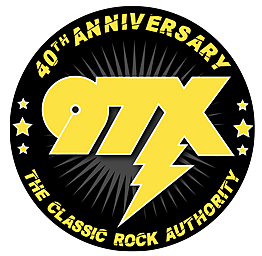 Listen to Classic Rock 97X for free tickets to opening night...also a "97X Dollar Beers and Dogs" night! I'll have some this week on the 5:00 Punch-Out so be ready!